Uniquely American and undeniably Texan, San Antonio is a melting pot of colorful cultures including prominent influences from Mexican, African, European, and Asian heritages. With over 25 museums and another 40+ venues dedicated to the performing arts, San Antonio has long been a hotbed of artistic expression. But feeding your need for culture shouldn’t have to put a dent in your wallet. 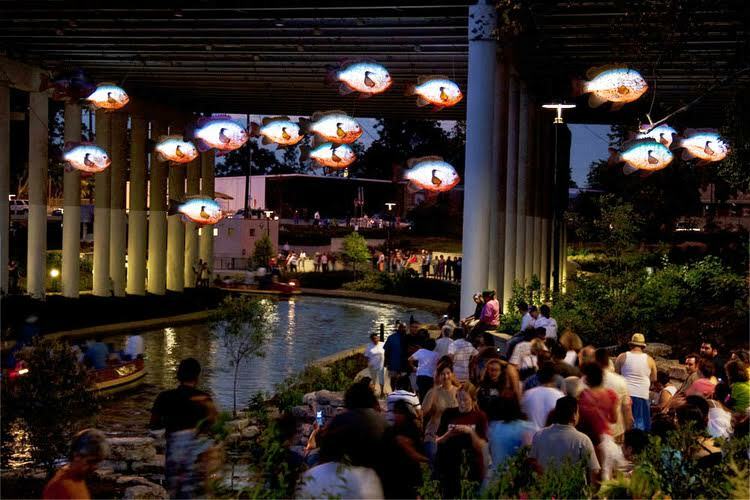 Check out these four FREE ways to get an inspiring dose of the burgeoning San Antonio arts scene. 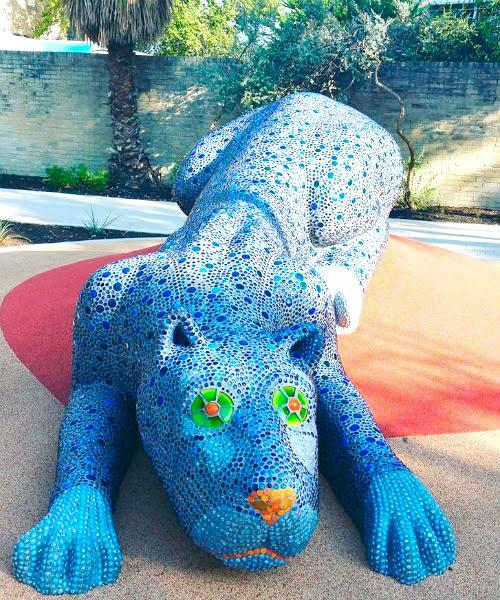 An amazing place to bring your rambunctious little ones, Yanaguana Garden at Hemisfair offers over four acers of unbridled fun for both kids and adults (it’s open until midnight on the daily). Featuring multiple climbing structures, two game plazas, a sand pit, a splash pad and a plethora of public art, the activity-rich park was designed not just for fun and interaction, but to provide education and recreation to the community. Be sure to mark the first Friday of the month on your calendar for this awesome gathering of creative enthusiasts and artists alike featuring live music, food vendors, one-of-a-kind installations and plenty of arts and crafts for all. Taking place at select venues in the Southtown Arts District and stretching into the King William Historic District. The Blue Star Contemporary Art Museum also stays open late for this monthly event, plus, they happen to offer free admission on the first Friday. 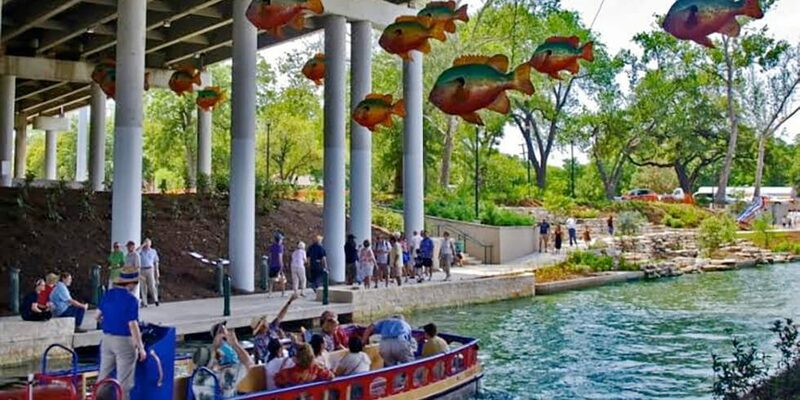 Take a scenic stroll down the iconic River Walk in the beautiful Pearl District to catch some of the awe-inspiring art installations that are featured under the bridges and along the four-mile Museum Reach stretch. One of our favorite experiences is waltzing through Donald Lipski’s larger-than-life school of F.I.S.H. that lights up after dark. For something truly unique, a visit to the contemporary art playground of Artpace is a must. From their much talked about International Artist-In-Residence program that makes the creation of an artist’s work an actual exhibit, to the Hudson Room that pays homage to the location’s beginning as a Hudson auto dealership, you’ll be able to see some of the best contemporary art from around the world. Not to mention the fact that Artpace is always free and open to the public.